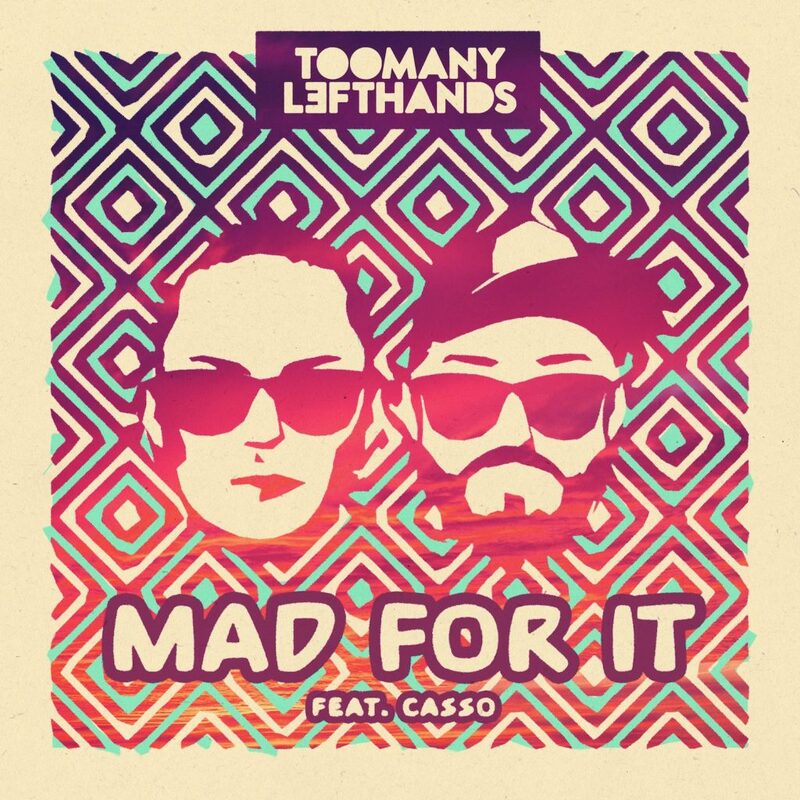 New single with international potential from the award winning and gold certified Danish DJ- and producer duo TooManyLeftHands! ‘Mad For It’ features Swedish singer/songwriter Casso, who also wrote Mike Perry’s single ‘Inside the lines’ – reaching 46 million streams on Spotify and 11 million views on YouTube. TooManyLeftHands are confirmed for this year’s Summerburst in Sweden where Justin Bieber, Axwell x Ingrosso, Steve Aoki & David Guetta also has been added to the line-up! TooManyLeftHands are set to play “Fredagsrock” in Tivoli, Copenhagen May 19! Over the past 5 years, Anders K and Martin Nick have built TooManyLeftHands into a massive club act, playing over 600 gigs in the past 4 years, and sharing the stage with the likes of Avicii, David Guetta, and Tiësto. They’ve spun at local nightclubs as well as the legendary Privilege in Ibiza, proving there’s no stage too big, or club too storied for TooManyLeftHands. The duo has garnered a sizable following in their home country of Denmark, and has been awarded a slew of impressive prizes including ‘Club Act of the Year’ at the Danish Grammys, and ‘DJ of the Year’ at the coveted Danish DJ Awards.